Are You "Dropping The Ball"
With This Common Coaching Mistake? It was a crisp, clear spring day last April when two of the city's top high school softball teams -- the Rattlers and the Hurricanes -- met on-field to renew their rivalry. They were very much alike, these two teams. Both had a strong pipeline to bring talented kids into the program and develop them. Both had worked hard in the off-season, studying the game and refining their skills. Both had great pitching staffs… powerful, consistent hitters… and coaches who knew the game inside and out. How did that happen? What was the difference? Why did the Hurricanes give up so many runs? The answer is simple: Outfielding. The Rattlers coach (let's call her Sandra) -- hand-selected three of her best athletes to patrol the outfield, worked tirelessly on their fundamentals in a variety of situations… and spent countless hours drilling home the importance of proper fielding mechanics, throwing mechanics, relays, and communication. 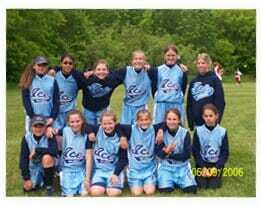 And they KNEW how to communicate with their teammates, avoid mistakes, and limit the progress of baserunners. The Hurricanes' coach (let's call him Woody) -- pretty much ignored the importance of outfielding. 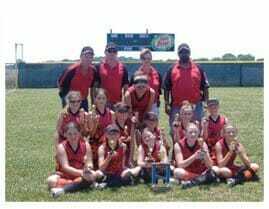 His girls were unprepared for the challenges of playing a top-quality team… and, boy, did they show it! They panicked under pressure, and uncorked WILD, out of control throws a mile away from their intended target. Coach Woody thought he could just "hide" his three worst fielders by throwing them into the outfield… and spent almost NO practice time at all preparing them for the challenging situations they'd face in a real game. If you are, don't worry. A LOT of coaches (especially busy ones) do the same thing. You have limited field time and a small coaching staff, and -- understandably -- you're probably spending most of your time on batting practice, bullpen work, or scrimmages. But, here's the thing. Until you devote some serious time and energy to outfielding... until you master the simple secrets to this CRITICAL part of the game... your team will never reach it's true potential. Sure... you can be somewhat competitive. But you'll still suffer from the same frustrating mistakes, make the same costly errors, and keep banging your head against the wall with the same unmet expectations... year after year after year. But all that's gonna change today. Because you now have the opportunity to learn the secrets of top notch outfielding from one of the NCAA Softball's All Time Greats... directly over your computer screen... from anywhere in the world with an Internet connection. I just got my hands on a new 2-part online video clinic called, "Total Outfielding." It's 57 minutes long, and jam-packed with dozens of useful coaching tips, pointers, and developmental drills you can take directly to the field. Your instructor is none other than Gina Vecchione, four-time NCAA champion and one of the most respected young softball coaches in the game. A former All-American outfielder herself, Coach Vecchione was the first UCLA player ever inducted into the Amateur Softball Association's Hall of Fame. As an assistant at Oregon State and UCLA, she's won FOUR "Coaching Staff of the Year" awards… and helped to develop some of the top Division I outfielders in NCAA history. The online clinic reveals all of Coach Vecchione's most treasured outfielder coaching secrets, all explained with simple step by step instructions and live video demos. You'll discover dozens of proven drills, simple coaching cues, and easy solutions to common outfielding mistakes! Here's a small sample of what you'll learn in Part 1: "Outfield Fundamentals and Mechanics." A BRUTAL "stance" mistake that leaves your outfielder vulnerable to balls hit over her head. Learn what it is and how to correct it. A step by step formula for teaching proper throwing mechanics, from grip… to footwork… arm path… weight transfer… release… and follow through to the target. How to adjust your ball grip under wet conditions (helps you control the throw, and avoid the ball squirting out of your hands). How to use the glove arm to create more balance and torque in the throwing motion, for laser-accurate throws to anywhere on the field! The best way to retrieve a ball that's hit PAST the outfielder. Learn how to get the ball back into the infield as efficiently as possible… without taking false steps, fumbling the ball, or rushing the throw. How to teach the correct technique for making a barehand pick-up. The 2 most common mistakes outfielders make on long fly balls. Learn all about the "L-Turn" and the "Ball Float" -- and exactly how to fix them. Why "Glove-Flipping" leads to so many errors - and what coaches can do to correct this common mistake. 3 costly throwing mistakes that most young softball players make. See how you can fix the "Elbow Drop," the "Wrist Turn," and the "Out-of-Body Release." Why 12 and 6 are the most important numbers your outfielders need to remember. This one simple coaching cue immediately leads to more precise throws. 3 rules of thumb for backing up a play from the outfield. How to establish an airtight communication system between your outfielders and infielders. Plus, why your fielders should NEVER call the ball for someone ELSE! 3 things every outfielder should know about their opponent -- for smarter defensive decisions, fewer mistakes, and a massive competitive advantage! Part 2 is called "Outfield Drills." Inside, you'll learn 18 unique, fun, and effective practice ideas to reinforce the fundamentals and improve your outfielders skills! Pylon Drill: A simple 4-step progression for teaching proper throwing footwork -- incorporates the lead step, shoulder turn, glove arm placement, and cocking the throwing arm. Run Through The Catch Drill: How to develop a more explosive jump on a fly ball, for better timing to the play, and a harder, more accurate throw to the target. Line Drive Drill: The best way to catch a hard-hit line drive on the run, shift your weight, then transfer your momentum into the throw. Relay Drill: Ball hit through the gap? Learn the exact footwork and body mechanics to retrieve the ball from the fence… turn… and get the ball back into the infield as FAST as humanly possible. (This is the key to limiting your extra-base hits). Blind Drill: Learn how to develop better communication and teamwork between your outfielders… while teaching proper backup positioning. Barehand Drill: How to train your outfielders to see the ball right into the glove, improving eye-hand coordination and eliminating costly errors! Gap Communication Drill: Helps establish your outfield "hierarchy" for playing balls into the gap, so your players work together likely a finely tuned machine! Crossover Drill | Blind Pivot Drill: 2 challenging drills that teach your girls how to track a deep fly ball and make adjustments on the run. Slice Drill: How to read the spin and trajectory of a fly ball, so you can set up the correct pursuit angle, accelerate into the path of the ball, and make a reliable, fundamentally-sound catch on the run. Target Drill: A "four-corner" throwing system that literally forces your outfielders to hit their targets. Best part: get tons of reps in just a few minutes of practice! Shoestring Catch Drill: Learn the correct technique for playing a short blooper into the outfield, including the proper footwork and glove position for this tricky fielding situation. Fence Drill: The simplest, most effective way to play a deep fly ball at the fence, without the risk of injury. Sun Ball Drill: "The sun was in my eyes!" - a common problem that leads to plenty of dropped fly balls. This drill shows you a reliable way to track the ball through the glare of the sun without losing it's trajectory, then make the catch with 100% control and confidence! 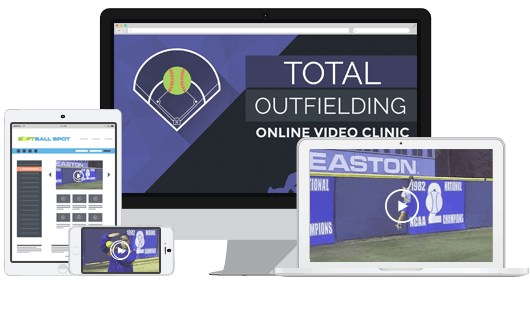 "Total Outfielding" is an online video clinic, so you can get instant access to everything as soon as your order is securely processed. You can stream the videos over your Internet connection, watch them on your iPhone, iPad, or other mobile device, or download them to your computer to watch any time. There's no fancy software or special equipment needed. If you know how to click a mouse, you have everything you need to get started right now! So what's a resource like this worth? Well... the two individual videos have sold for $40.00 EACH in the past. But as part of this special introductory offer, you can have the full package (Outfield Fundamentals & Mechanics AND Outfield Drills) for just $80.00 $29! Click the orange Add to Cart button below, fill out your information on our secure order form, and you'll get immediate access to all the material. You can learn everything today, and start using it at tomorrow's practice! If you decide this isn't for you for any reason, or no reason at all - no problem. Just contact me and you'll receive a prompt refund of every penny of your purchase price - no questions asked, and no hassles. And we'll still be friends. Over 5,678 softball coaches - from across the U.S. and all over the world - have trusted me to deliver the truly great "insider" secrets of the game. As you can see, I'm passionate about helping regular softball folks (like you and me) improve their players' skills and reach their teams' goals. And I protect my reputation like a bulldog protects a bone. My motto is to treat every customer the way I wish other businesses treated me: with total respect and the attitude that "the customer is ALWAYS right." So I completely trust your judgement, and will cheerfully refund every penny of your purchase price if you're not 100% blown away by the outfielding fundamentals and drills you'll discover in this online clinic. But there's one small catch, however. We are only offering this "special $29 (save $51), and take 60 days to decide" deal for the first 200 coaches to get in on this. It's part of a marketing test my business partner convinced me to try. So you must act today. Click here to place your secure order right now, while it's fresh in your mind. If you decide to think about it and come back later... you could miss out on this incredible deal. I guarantee you'll be shocked and delighted at the improvements you'll see, and how much better your team performs! PS - By the way, I've electronically reserved one of the 200 discounted slots in your name. I only sent this announcement out to a small number of other coaches (priority e-hotlisters only) and you're high enough on the list to be guaranteed immediate access when you order. However, if I don't hear from you by midnight tonight, I'll remove your name from the priority e-hotlist and will let the guy below you have your slot. That doesn't mean you'll be locked out for sure... it just means your slot is no longer guaranteed. So don't lollygag around and lose out here. Order right now and get started today!